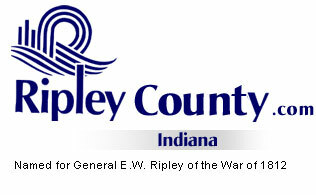 The Ripley County Council met on Tuesday, August 16th, 2005 at the Ripley County Annex in Versailles, Indiana. Don Dunbar, Council President called the meeting to order promptly at 7:00 PM with the pledge allegiance to the flag. Council Members Dephane Smith, David Simon, William Dramann, Mark Busching, Ben Peetz, Edward Armbrecht & Donald Dunbar were in attendance. John Ertel, Attorney was present to advise the Council due Neil Comer not being present. Council Member Smith made the motion to approve the minutes of the July 19th, 2005 meeting seconded by Council Member Simon. Motion approved unanimously. Council Member Smith made the motion to take off the table the additional appropriation of $827.77 from County General Fund #100-17200-000-043 & $893.65 from County General Fund # 100-17100-000-043 for Soil & Water/Irvin Harmeyer and the additional appropriation of $1,200 from Park & Recreation (Electric) Fund #425-33370-000-050 & $1,350 from Park & Recreation (Telephone) Fund # 425-34400-000-050 for Parks & Recreation/Warren Bruns seconded by Council Member Simon. Motion approved unanimously. Council Member Smith made a motion to approve the additional appropriation of $827.77 from County General Fund #100-17200-000-043 & $893.65 from County General Fund #100-17100-000-043 for Soil & Water/Irvin Harmeyer seconded by Council Member Simon. Motion approved unanimously. Council Member Simon made a motion to approve the additional appropriation of $1,200 from Parks & Recreation (Electric) Fund# 425-33370-000-050/ $1,350 from Park & Recreation (Telephone) Fund# 425-34400-000-050/ $200 from Park & Recreation (Paper Products) Fund#425-29620-000-050/ $100 from Park & Recreation (Office Supplies) Fund#425-25300-000-050 & $4,000 Park & Recreation (Repairs & Maintenance) for Park & Recreation/Melvin Meisberger seconded by Council Member Smith. Motion approved unanimously. Council Member Armbrecht made a motion to approve the additional appropriation of $184,942.61 from Wireless Communication Fund #232-99000-000-000 for911 Emergency Telephone/Judy Schebler seconded by Council Member Peetz. Motion approved unanimously. Council Member Busching made a motion to approve the additional appropriations of $20,000 from Cumulative Bridge Fund # 203-29489-000-033 (Bridge #89)/ $325,000 from Cumulative Bridge Fund#203-29525-000-033 (Bridge #100) & $225,000 from Cumulative Bridge Fund# 203-29538-000-033 (Cave Hill Bridge) for Highway Department/Robert Reiners, Commissioner President seconded by Council Member Smith. Motion approved unanimously. Council Member Smith made a motion to approve the additional appropriation of $64,000 from HAVAA Title III-Non reverting Fund# 294-44600-000-294 for Ripley County Clerk/ Ginger Bradford seconded by Council Member Dramann. Motion approved unanimously. Gene Pitts requested that Cathy May be re-appointed to the Osgood Library Board for three years. Council Member Smith made a motion to re-appoint Cathy May to the Osgood Library Board Member for a three (3) year term seconded by Council Member Dramann. Motion approved unanimously. Commissioner Reiners updated the Ripley County Council on the resignation of Scott Melling as EMS Director and presented Don Bowman as the new EMS Director for Ripley County at a lower salary of $39,500 for the year 2005. Bowman thanked the council for the opportunity to serve as director for Ripley County. Council Member Busching made a motion to amend the salary ordinance for the EMS director from $51,000 to $39,500 seconded by Council Member Smith. Motion approved by six (6) members (Dunbar, Smith, Simon, Busching, Dramann & Busching) and one (1) opposed (Armbrecht). Council Member Armbrecht asked Commissioner Reiners how are you going to fund the EMS System? Commissioner Reiners advised that they are working on ways to fund the EMS System for 2006. Auditor McCoy advised the Council Members that the budget meetings will be on August 30th, 31st & Sept.1st. @ 7:30AM. Council President Dunbar advised that he would like to meet at 7:00AM for a short discussion before starting the budget meeting at 7:30AM. McCoy advised that the General Budget total is $6,413,162 & a total for (ALL) budgets $16,801,040 that has been presented to the council members for their consideration for the budget year of 2006. Economic Development –Mark Busching- reported that they had an Executive session to review recommendations for the Economic Development Director and came up with three recommendations for the director to work on next year/ more proactive in letting the county know and keeping the county more involved as to what is going on in the county/more proactive with the business/concentrate on Ripley County and keep everyone involved. Busching advised the County Council Members that he is taking a class and would not be able to attend the Economic Development Board meeting. Armbrecht advised that he would be glad to take Busching place on the board thru December of 2005. Council Member Busching made the motion to appoint Armbrecht to replace Busching on the Ripley County Economic Development Board of Directors to the end of the year seconded by Council Member Dramann. Motion approved by six (6) council members (Dunbar, Smith, Simon, Peetz, Dramann & Busching). Armbrecht didn’t vote. Technology Committee – Edward Armbrecht – going to replace the election monitor in the court house. SEI Regional Planning Committee – Dephane Smith – Reiners discussed grants that are available. Council Member Smith made a motion to adjourn until the next regular meeting on Tuesday, September 13th, 2005 @ 7:00 PM seconded by Council Member Simon. Motion approved unanimously.